ATD Dallas chapter meetings are typically held on the 3rd or 4th Tuesday of every month except in August which is Southwest Learning Summit, and December which is our annual AXIS Awards dinner. Want to be notified of our upcoming events? Sign up for our email newsletter so you are always in the know. Collaboration across boundaries, whether they be business lines, internal teams, or geography is a critical aspect of the talent development professional’s responsibilities these days. Collaborative success is found when diverse perspectives are brought together, have the right conversations, and commit to taking ownership for creating something greater than their individual interests. 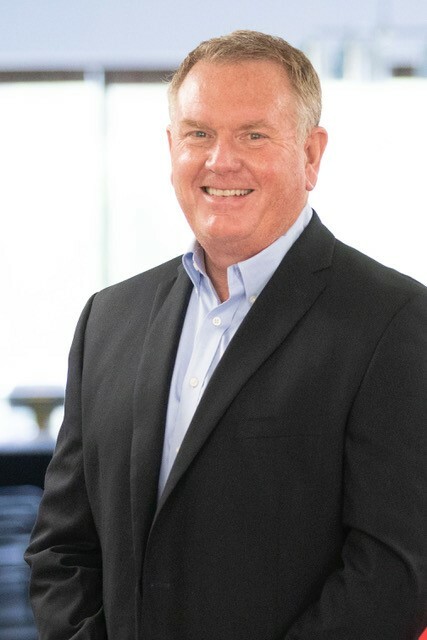 For over twenty years Tom McGehee, Founder of WaveChanger, has been helping individuals and organizations accomplish more than they thought possible by equipping them with a process that enables them to have their best collaboration conversations. In this session, Tom will discuss the power of participation, how you currently leverage it in the development and facilitation of learning solutions, and how you can use it to positively impact the engagement of your collaboration partners. 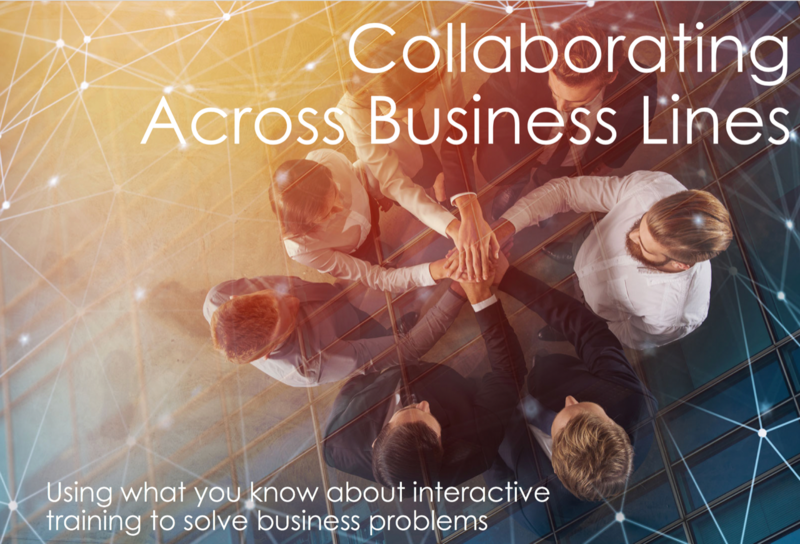 Participants will be able to download multiple tools to help them plan and design collaborative business sessions. Tom has an extensive background of designing and leading collaborative work sessions over the past 20 years, partnering with organizations around the globe and across multiple industries, as well as non-profit and minsitry work. 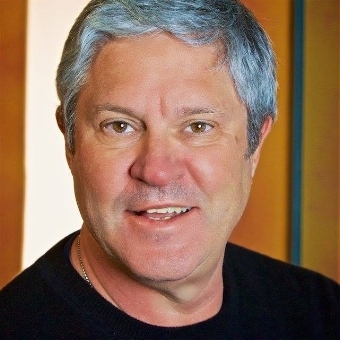 Tom entered into the area of collaborative work as a Partner with Ernst & Young Consulting LLP in the mid-nineties and it has been his passion ever since. Tom draws upon his vast and varied experiences, including leading a business consulting group, developing multi-million-dollar outsourcing relationships for EDS, and serving as an officer in the US Marines. He is comfortable conducting sessions for any sized group and has worked with leadership teams as small as six people and facilitated complex working meetings with groups as large as 800. Tom is honored to have partnered with the following clients: Adventist Health, Bell Canada, Cox Communication, Neiman Marcus, Keurig/Dr. Pepper, John Deere, Leadership Network, Saddleback Church, JC Penney, Baylor University, All Saints Dallas, The Lausanne Movement, and Youth with a Mission. Girl Scouts of Northeast Texas - Get Directions here. You are welcome to arrive early and get settled prior to the start of the meeting. All members of ATD Dallas are welcome to attend any SIG any time. Non-members are welcome to join us for up to 2 complimentary sessions. After that, to provide ongoing chapter support to the SIG, you will need to join ATD Dallas by paying the annual dues of $115. Questions? Contact 972.233.9107 ext. 224 or email info@tddallas.org. You won't want to miss Q2's happy hour! Why? We're doing WAY more than just celebrating what you do to make the metroplex the talent development capital of the world. Finally! The Future of Learning Has Arrived. Members get an all-access pass to the chapter's newest learning tool equipped to provide exclusive access to speakers, award-winning content, local experts, and top resources curated to serve your individual learning needs. Come toast with us as we unlock learning potential with our chapter-wide launch! 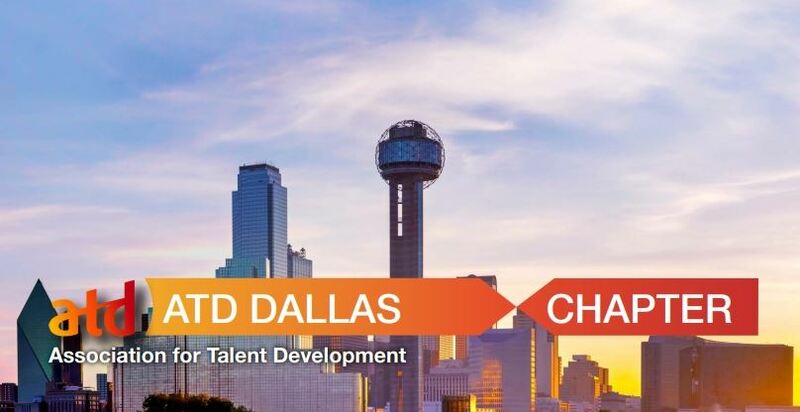 ATD Dallas Chapter achieves its mission is through connection, collaboration, and support within the talent development community. So, whether you are a tenured member, new member, or a guest, we invite you to join us for happy hour because ATD Dallas is all about people. 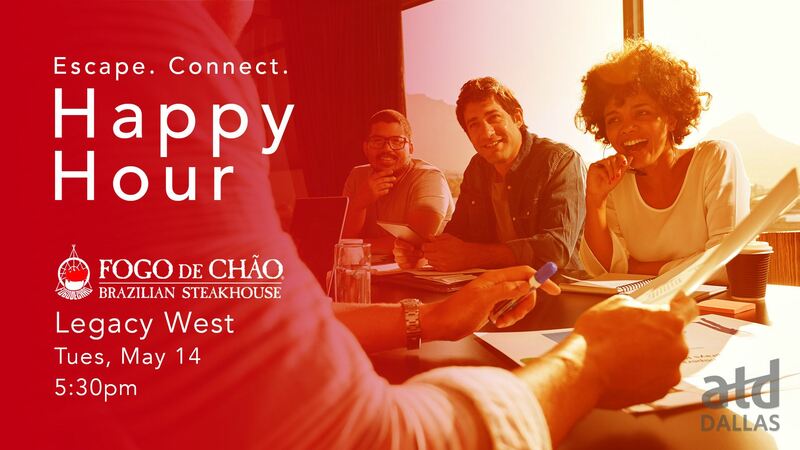 Come network with fellow ATD members at the Flagship location for FOGO De CHAO, Legacy West, a premium brand with relaxed & casual atmosphere. Big thanks to this month's event sponsor! We couldn't (and wouldn't want to) do it without you. Joining us? Tweet about it! Since the invention of the Kinetoscope by Thomas Edison, motion pictures have been used to inform and educate. Today, more than 300 hours of new video content are added to YouTube every minute of every day. And, with over 237 million smart phone users in the US alone, access to video is immediate and pervasive. But, when and how to incorporate video into your training can be a challenge and potential expense. 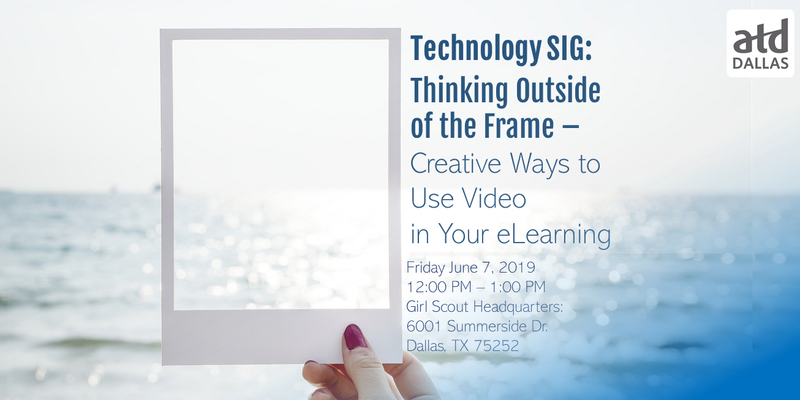 In this session, you will learn innovative ways of including video in your eLearning modules, as stand-alone microlearning modules and in media rich eBooks and Quick-Training guides. You will also learn ways to quickly produce video yourself when budget or in-house production resources are not available. Joe has been developing training and marketing content for over three decades. He and the 10+ team develop video, eLearning, instructor-led training, performance support tools and marketing content for companies like Toyota, Edwards Lifesciences. Taco Bell, Kia, The Capital Group and Weinershnitzel. An accomplished writer, instructional designer, producer, and director, Joe brings an intimate understanding of video production and learning development with a high level of creativity and innovation to the programs 10+ Interactive develops. All members of Dallas ATD are welcome to attend any SIG any time. All non-members please feel free to join us for up to 2 sessions at a SIG. After 2 sessions, to provide ongoing chapter support to the SIG, you will be expected to join Dallas ASTD by paying the annual dues of $115. Questions? If you have any questions please contact the ATD Dallas office at 972-233-9107 ex224 or email info@tddallas.org. Alkami contributes much of its success and high-growth to its intentional culture that reinforces optimistic-perseverance, caring-collaboration, transparent-communication, courageous-innovation, trusted-accountability and real-fun! 87% of our Alkamists say they do their best work at Alkami, 80% of their clients say their final decision to select Alkami is based on the culture of the organization and over 50% of our their Alkamists are employee referrals. Alkami has partnered with ID360 to develop training and coaching programs to help reinforce culture and leadership development. 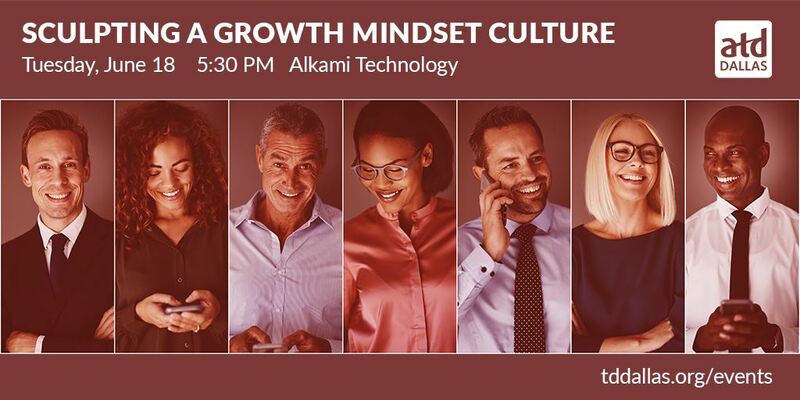 During this session, hosted at Alkami, Adrianne and Kim will share insightful and practical concepts to intentionally and successfully incorporate and reinforce a Growth Mindset Culture. This session speaks to individuals who shape the culture within their organizations. It also beneficial to anyone who can shape the culture within their department or team. About Alkami and id360: Based in Plano, Alkami is a digital banking technology provider to US financial institutions powering the digital (online and mobile) experiences for over 5M consumers and small businesses. A 10 year-old company Alkami is one of the fastest growing software companies in the US and has some of the highest retail banking app ratings. Alkami has been ranked as the #1 Fastest Growing Software Company in Texas by the Inc. 5000, and has been ranked in the Top 10 Coolest Tech Companies to Work For in Dallas and listed as a 2019 Best Places to Work in Financial Technology. For over two decades, id360 has designed and delivered programs, learnings, training with passion for empowering leaders and teams to thrive and reach their highest potential. 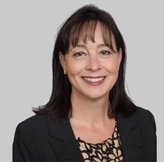 Adrianne Court, Chief HR Officer of Alkami, has extensive US and international business expertise with 20+ years of HR leadership experience with public and privately-held organizations spanning in size from 500 to 50,000 employees. Due to the sustainable and business-relevant programs championed, she helped organizations achieve noteworthy recognitions, including BEST PRIVATE COMPANIES FOR LEADERS, TOP 25 BEST PLACES FOR RECENT GRADS, STRATEGIC HR EXCELLENCE, BEST COMPANIES TO WORK FOR; and, she was named 2013 HR EXECUTIVE OF THE YEAR by DallasHR. She, along with 13 other writers, co-authored Bravely She Flies released on Mother’s Day 2017 A book giving women an opportunity to voice and share stories of resiliency. Kim Zoller, CEO and founder of ID360, has over a two-decade global track record of building highly customized training programs. Together with Kerry Preston, Kim is the co-author of “You Did What?” The Biggest Blunders Professionals Make, “You Said What?” and ENHANCING YOUR EXECUTIVE EDGE: How to Develop the Skills to Lead and Succeed (McGraw Hill, June 2014). Kim and ID360 have caught the attention of national media including CNN, CNBC, Fast Company, The New York Times, The Washington Post, Forbes, American Way, and The Dallas Morning News, among others. Over the past 26 years, Kim and her team have trained over 200,000 individuals. And, she has partnered with Alkami to develop Alkami’s Gold Standard Leadership Program. Thank you for your interest in exhibiting your company and for supporting the ATD Dallas at the 2019 Southwest Learning Summit in August 2019. By sponsoring the Southwest Learning Summit your company will impact our membership. The Summit will take place at the Plano Centre at 2000 E. Spring Creek Parkway, Plano, TX 75074. Each exhibitor receives a carpeted 10 ft X 10 ft booth space, table, two chairs, and electricity. Lunch is also provided for two individuals. Additional equipment including any AV requirements may be arranged directly with the Plano Centre, at the exhibitor's cost. Wifi internet access is available for the day. No exhibit booths may be shared, as each booth is for one company only. Additional exhibits at the same station will be billed at the full cost of exhibiting. Registration forms should be submitted as soon as possible. The deadline is July 24, 2019 or until all exhibit space has been filled, whichever comes first. If you have questions please send them to info@tddallas.org. If you must pay by check, then it will need to be mailed to the ATD Dallas office within 96 hours of the time you receive of our approval email. Mail to: ATD Dallas, 14070 Proton Rd., Suite 100, LB9, Dallas, TX 75244, 972-233-9107 ext 224. If you need to cancel your sponsorship or exhibit booth at any time, please call the ATD Dallas office at 972-233-9107 x224. Fees will be refunded, less a $50 administration fee, if cancellation is received by July 15, 2019. After that time, no refunds will be issued. Deadline for a full refund, is Thursday, May 31, 2019. Deadline for a 50% refund, is Friday, July 20, 2019. Click here for more details regarding our cancellation policy. Click here to view more details about each level! 01 Mar 2019 Technology SIG: Dammit Jim, I'm a Doctor Not a Graphic Designer! 14 Nov 2018 Technology SIG: Software Simulation Slugfest - Which Tool Should You Use for Your Simulations? 23 Apr 2018 Career Development SIG: Afraid to Negotiate Offers? 26 Mar 2018 Career Development SIG: Need Help Planning Your Career Path? Ask the Pros! 21 Mar 2018 Webinar: Master the Power of Social Selling with LinkedIn! 27 Nov 2017 Career Development SIG: What Type Of Impression Do You Want To Make? Are You Interview Ready? 09 Nov 2017 Workshop: So You Want to be a Great Leader ... Don't We All? 03 Nov 2017 Learning & Development SIG: Inclusion in a Global Workforce: Do You Speak The Language? 11 Oct 2017 Technology SIG: How Dynamic is your Linked In Profile? 24 Jul 2017 Career Development SIG: You've Landed the Interview - Now What?! 07 Apr 2017 Learning & Development SIG: Aspire Higher! 27 Mar 2017 Career Development SIG: Make Your LinkedIn Profile Snap, Crackle and Pop! 27 Feb 2017 Career Development SIG: Resume Tuning: Does Yours Need Some? 06 May 2016 365 Ideas To Go From Good To Great On TWITTER! 03 May 2016 Is sales and sales leadership really all that difficult? 08 Apr 2016 Training Instructional Design (ISD) What IS good training design? 24 Aug 2015 Job Search and Weight Loss: Similar or Different? 18 Aug 2015 ATD Dallas Technology SIG to Resume in September! 10 Jul 2015 We Need Management Training! Where do I start? 18 Nov 2014 November Chapter Meeting: Keep Them Out of the Classroom! 16 Jul 2013 Chapter Meeting: July 16 - STEP Up! 03 Dec 2012 Dallas ASTD Special Interest Group Happy Hour! 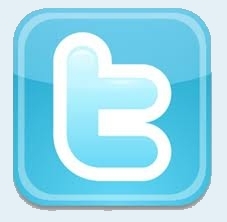 18 Sep 2012 Chapter Meeting: SEPTEMBER 18 - Social Media - So What? 15 May 2012 Chapter Meeting: May 15 - How to Design Award-Winning Product Training with Single Source Publishing. 04 May 2012 One-day Chick-fil-A LEADERCAST at 1st Global, Inc.
17 Apr 2012 Chapter Meeting: Lunch and Leadership: So You Think You Know What a Leader Is? ATD Dallas periodically uses photos related to ATD events and activities that may include images of members or guests, whether individually or as part of a larger group. These photos are used for various chapter publications, including the ATD Dallas website, presentations, social media, email marketing, newsletters, and printed material. By registering for our events, you grant ATD Dallas permission to use these images in the manner described above and waive all claims for compensation for such use. Please contact ATD Dallas at info@tddallas.org for any questions or concerns.